Special capacitive tips on the thumb, index and middle fingers that are guaranteed to keep your finger snug and warm on that cold windy day at the bus stop. 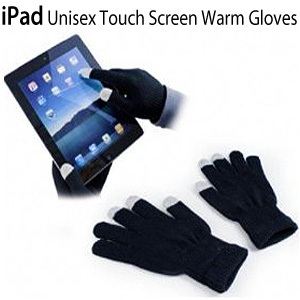 Compatible with the Ipod, Iphone, Ipad and other touch sensitive digital device. There was a lot of different types of touch-screen gloves but as I was looking for a cheaper one, I came across this one. It looked nice and it was cheap so when I bought it, I didn't think it would keep me warm but it actually keeps you warm and allows you to use your touch-screen devices at the same time!